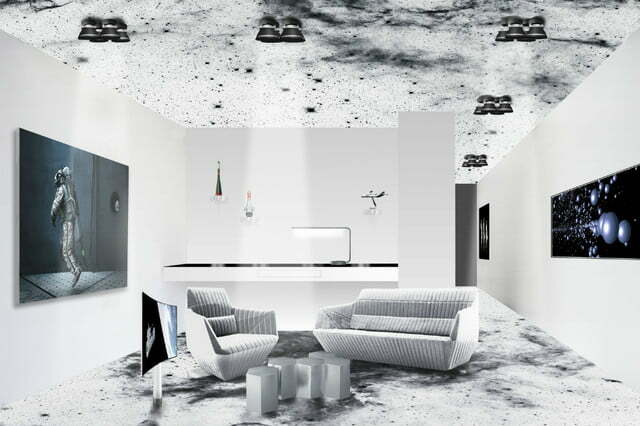 If “spend a night in space” is one of those things on your to-do list that just never seems to get done, then the next best thing might be to book yourself into the “Space Suite” of the Kameha Grand hotel in Zurich, Switzerland. 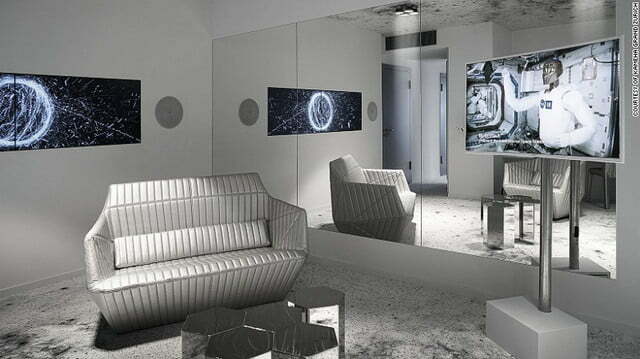 The recently unveiled and lavishly furnished room comes with a “zero-gravity bed” that appears to float just above the floor, a steam bath “designed to simulate a view into the universe….and a two-screen video installation visualizing space debris in Earth’s orbit,” according to CNN. 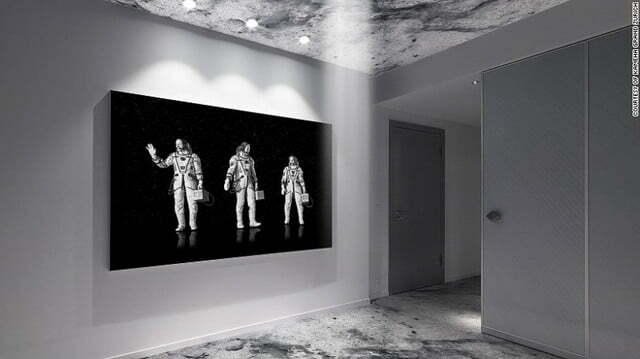 Designed by German artist Michael Najjar, the stylish fifth-floor suite also features large pictures of galaxies, floating astronauts, and a selection of books and movies related to space travel. 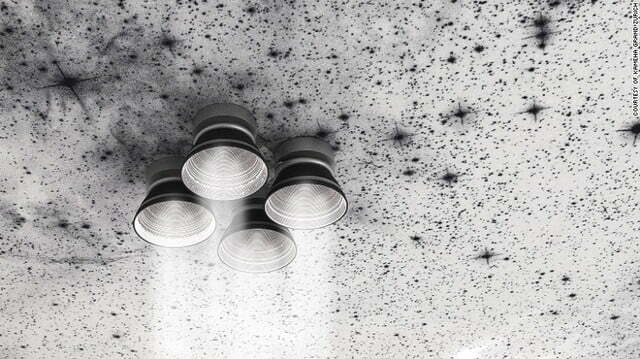 A nice touch is the spotlight design that resembles part of a rocket engine, though the wall-attached space glove for holding your keys and phone may also appeal (or possibly creep you out). 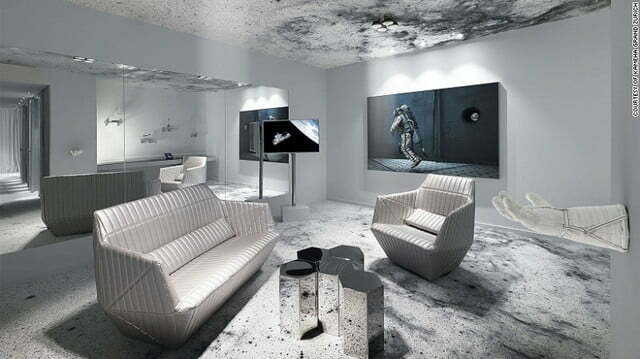 “We will take you to the stars!” the hotel proclaims on the room’s webpage, though it’ll cost you $2,000 and you won’t actually leave Zurich. 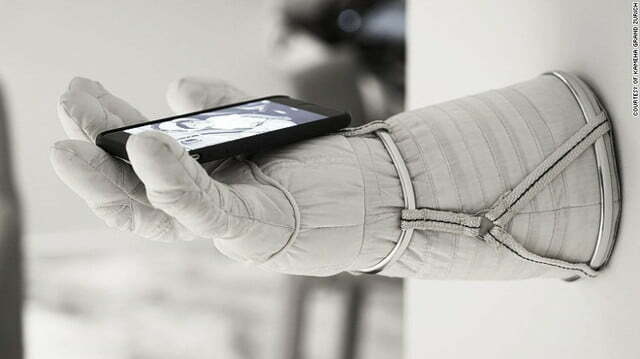 Bizarrely for a hotel room – and one that doesn’t come cheap – creating a relaxing environment wasn’t at the forefront of Najjar’s mind when he designed the Space Suite. 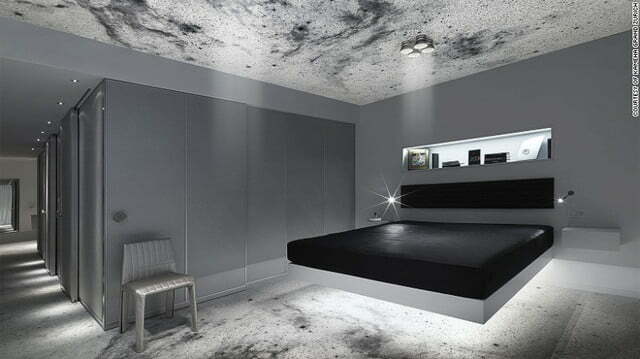 To our eyes, Najjar’s room looks a whole lot comfier than conditions aboard the ISS, though who knows, maybe the mini bar only offers vacuum-packed slop and the mattress comes stuffed with space rocks. 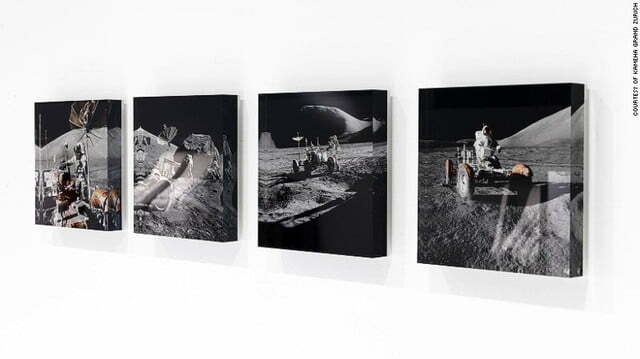 Either way, the artist’s interest in space clearly extends well beyond simply designing themed rooms on it – he’s apparently spent the last three years training for a suborbital Virgin Galactic flight. That sounds great, but it’ll make for one hell of an elevator journey to get to your room.